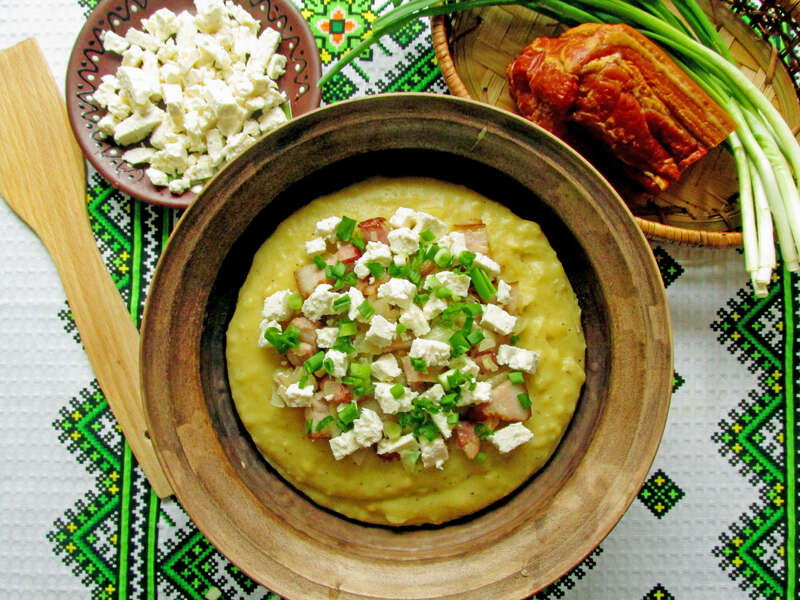 Banosh is one of the most popular traditional Hutsul dishes in Ukraine. If you at least once try this dish, then, probably, you’ll become its die hard fan. 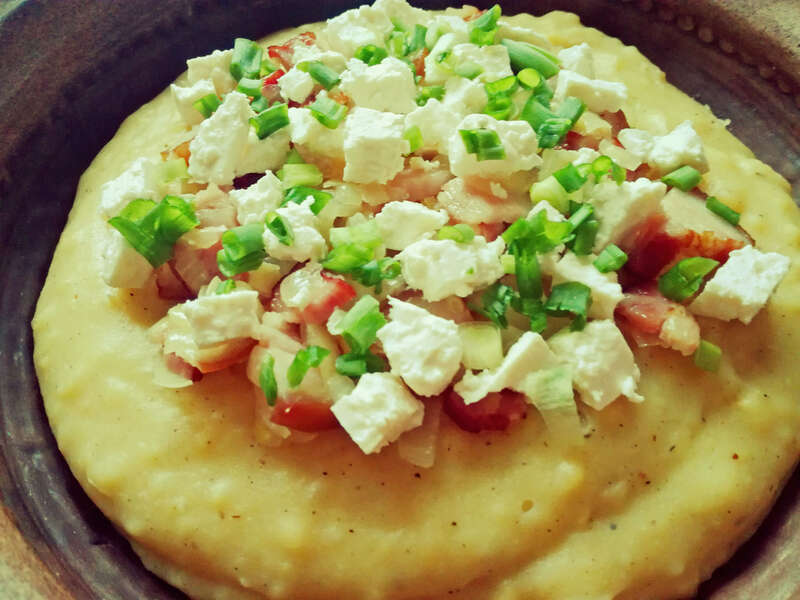 A dense cornmeal mush served with flavorful cracklings and brynza is rich and appetizing. 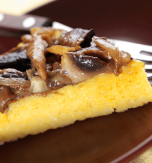 The “cousins” of banosh are Italian polenta and Polish/Moldavian mamalyha. 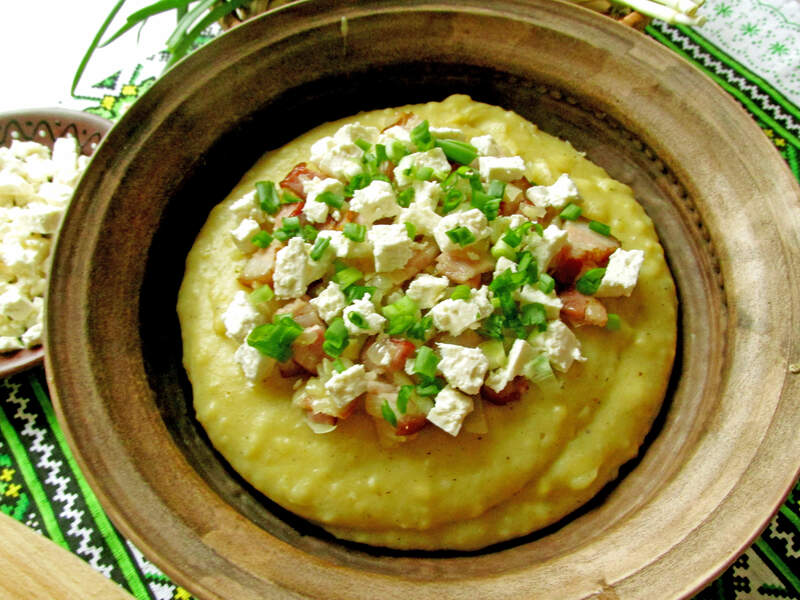 In Italy this dish is cooked using water or cream and coarse maize grits, while in the Carpathians banosh is boiled using fine-ground corn grits or cornmeal and homemade sour cream. In such a way, a nourishing Ukrainian dish gets a very tender, smooth consistency. In the Carpathians, where this dish is fairly considered to be the food visiting card, banosh has a second name – tokan. From olden times, exclusively men cooked tokan and brynza, since sheep rasing and everything related to it was considered to be male work. By tradition, men usually cooked tokan in a cast iron large cooking pot over a fire – in such a way tokan steeps in the flavor of smoke and the energy of open fire. 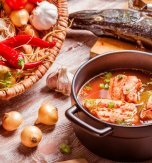 Tokan is the “soul” of Hutsul cuisine, and in each yard of Hutsuls there is a special place to cook this dish. 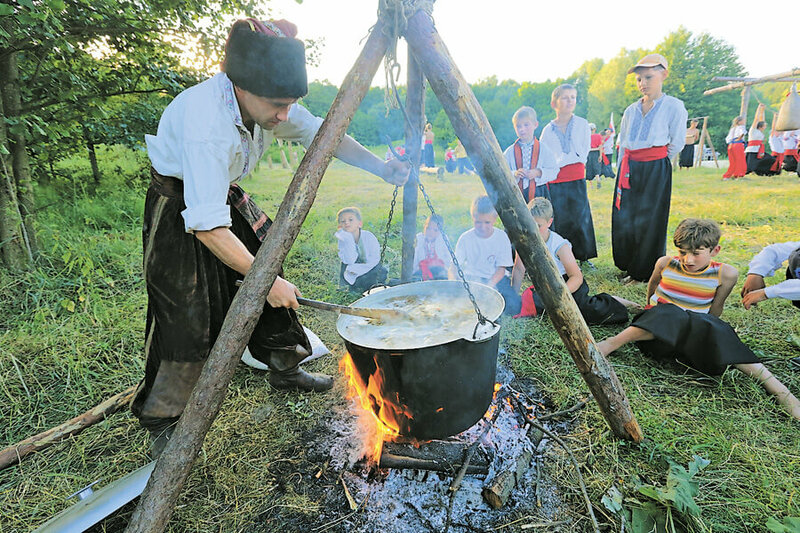 It is believed that in order to cook a true Hutsul tokan, you should be born in a true Hutsul family, be an expert in dairy products, mushrooms, and salo, and, what is more, to fall in love in a true Hutsul girl, since a tasty tokan can be cooked only by a man who loves. 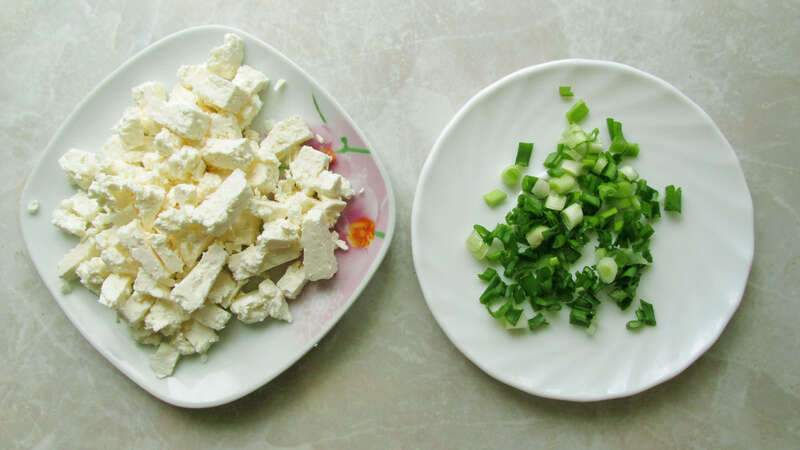 Historically, the main ingredients of banosh were sour cream and brynza. The sour cream was made using sheep milk and kept three days in a cellar before cooking. While cooking, tokan was stirred in one direction using a wooden spoon. This dish was often boiled in such a way that it can be cut into slices. By the way, in order to get even slices, a thread was used for cutting. Tokan was served with fresh or sour milk, or kvass (quass). 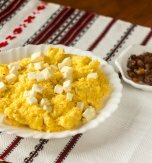 One of the legends tells, that there were times when Ukrainians lacked food, except for sour cream (as a cow was almost in each Ukrainian family) and a little cornmeal. That way the idea for cornmeal mush was born. You may wonder how the name for this dish appeared. There was a goodman, and he had a name Banosh, and his wife often told “eat, Banosh, eat, Banosh.” Here where it comes from. Put light cream (sour cream) in a pan and bring it to boil. Adjust salt and pepper to your taste. Place cornmeal in a colander and wash it under cool running water. Transfer the washed cornmeal to a pan and continue to boil over low heat, constantly stirring the mass with a wooden spoon. Cook the cornmeal mush until it becomes dense. Now let’s cook topping. Cut bacon into medium pieces. Peel a bulb onion, then wash and chop it. 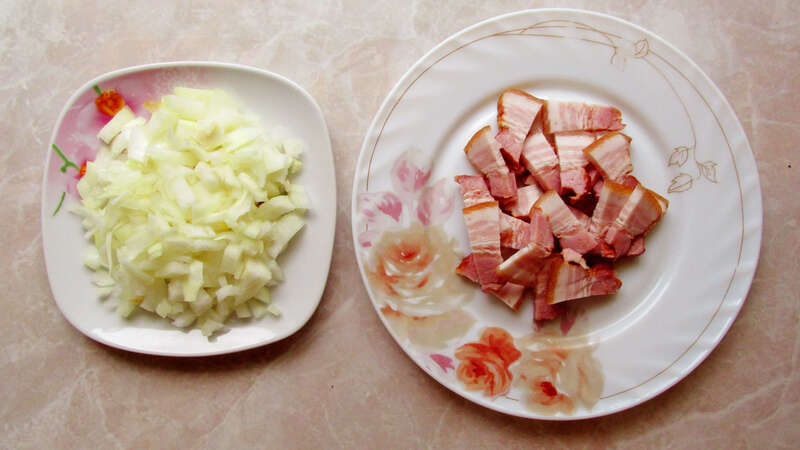 Combine the onion with bacon in a frying pan and brown the ingredients. Now we’ll need brynza (brynza is a brined cheese made using cow, goat, or sheep milk, and sometimes including a mix of these types of milk). Cut brynza into little pieces. Wash spring onion and cut it finely. Transfer the prepared cornmeal side dish to a serving bowl. Cover it with the fried bacon and onion. Top the banosh with brynza and spring onion. Serve the Ukrainian national food warm. Have you liked the recipe for Ukrainian cornmeal mush?